When moving day comes there is only one removal company you need to execute the perfect relocation in Biggin Hill, TN16. Moving Service offers moving services in Biggin Hill and beyond to families, individuals and to businesses and our removals team in TN16 area work in flexible hours to offer moving services on Saturdays, Sundays and late in the evenings. We pride ourselves on the wide ranging nature of our moving services, dealing with packing, furniture assembly and heavy lifting, and our removals company can give you a free quote if you call us on 020 8746 4402. Some of the difficulties people experience when moving in TN16 area can be dealt with if you have the right removal company helping you. Our man and van and moving experts know how to tackle the complexities of moving a house in London, and we can coordinate your move perfectly to enable you to relocate on a day that suits you without having to negotiate heavy traffic, parking and access difficulties or anything else. Our movers are very experienced in London removals market and we can cope with removal hobs of any size or shape, helping customers to overcome time constraints and other logistical problems. The area is a suburb in the South East of London and it takes its name from the airport that has existed there since before the war. The airport took a great part in the Second World War as a base for the RAF and today it is still in operation, mainly for private flying clubs. The area also features “the moving Church” of St Mark’s, which was constructed from the material used to build All Saints Church several miles north of the area. The area also features some quite strange and spooky ghost stories, and often these are connected with the airport. The area is close to Bromley and is well served by Hayes train station. Access to Central London is good with buses and trains running through the area though it is still well served with schools and shopping centres. The area is neatly situated on the edge of Greater London and the countryside of Kent and Surrey is not far away for hopeful day trippers. Many commuters are moving here but there are many who live and work locally which gives the area a good community feel. If you intend to move in or around Biggin Hill, TN16 moving companies don’t come any better than Moving Service. 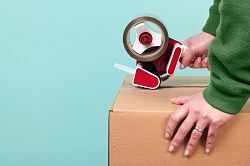 Our removals can be tailored to your particular needs and we often provide packing services for home owners and businesses lacking the time or the staff to properly pack up heavy equipment. Our movers are trained to handle with care which means we take safety precautions when lifting or transporting heavy goods and expensive computer equipment. We also provide a very intensive packing service and can carefully wrap and pack ornaments, glassware and other fragile items to make sure that they are cushioned and padded whilst being transported. Our removals team in Biggin Hill not only provides covering for all your furniture and mattresses to protect them from spoilage but also offers clean and tidy moving vans that are very safe for moving any goods. We use ramps, trolleys and electronic platforms to lift in heavy goods and you can hire as many movers as you need to help you move all your items. The only thing you need to do to prepare for the moving day is to call us on 020 8746 4402 and then let our experienced and enthusiastic moving team take care of everything else for you. Moving Service provided me with a secure and swift house removal to my new home in TN16.